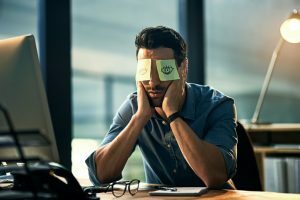 If you’re a sleep deprived entrepreneur, who has tried every sleep hack in the book, you may want to consider turning to technology to aid you. According to the Centers for Disease Control and Prevention (CDC), insufficient sleep is becoming a public health dilemma. On the surface it may seem like a poor night’s sleep just means feeling tired the next day—it’s far more serious than that, with insufficient sleep linked to motor vehicle crashes, workplace accidents, and chronic diseases like diabetes, depression, obesity, and high blood pressure. While sleep is essential for everyone, it is especially critical for entrepreneurs who need need it to maintain their performance and efficiency. Improving sleep means improving one’s health and productivity, and there are many sleep tracking apps and sleep gadgets now available to promote sleep health. Next-level earplugs. Regular earplugs can be insufficient when blocking out noise, and noise-cancelling headphones are bulky and tough to sleep in. Hush earplugs combine sound-eliminating foam and noise masking with soothing sounds to aid in getting a full night’s sleep without distraction. Heart health tracking. There are a number of fitness trackers on the market. The Jawbone UP3™ doesn’t just measure steps—it gives you a complete picture of your heart health, including while you sleep, monitoring your deep, light, and REM sleep phases, and giving sleep improvement insights night by night. A different kind of sleeping pill. It’s not what you’re thinking. The Sense sleep app for your smartphone and the Sleep Pill from Hello combine to give you a detailed breakdown of your sleep cycles to help improve your sleep. The Sleep Pill attaches to your pillow to monitor your sleep along with your sleep environment—including temperature, noise, and air quality. The system includes a smart alarm that wakes you during the appropriate part of your sleep cycle. Super-thin sleep sensor. Another sleep tracker, Beddit goes between your mattress pad and sheet, so there’s nothing to wear or remember every day. Without disturbing your natural sleep, it tracks the quantity and quality of your sleep, as well as compiling statistics including heart rate, breathing, snoring, and the humidity and temperature of your sleep environment. New-school sleep masks. An old cloth sleep mask can help keep out light, but it doesn’t do half of what these more advanced options can. The Illumy from GloToSleep helps you fall asleep with light that dims progressively through the night, then wakes you up by progressively lighting back up. The Neuroon sleep mask also uses dimming and brightening light, and it helps adjust your body clock when you’re suffering from jet lag. An advanced alarm clock. Waking up right is part of a good night’s sleep. The Aura Connected Alarm Clock invigorates your wakeup experience with light and custom music. The light simulates sunrise for a more natural wakeup process, and the audio lets you pick your morning groove from your Spotify playlists or more than 20,000 web radio stations. A pillow turned smart. Chrona is a smart pillow topper. Add Chrona to any pillow to enhance sleep quality by using sounds specific to where you are in your sleep cycle, increasing the quality of your sleep so that six hours can feel like eight. With all the advancements in technology designed to improve and monitor sleep, it is important to be mindful of creating essential sleep habits, including establishing a sleep schedule, avoiding caffeine before bedtime, and making the bedroom environment one that promotes quality sleep.